Thats My Cue. No More Pushing Forward this year..Lovely Video. happy new year dear. long time no post.... I've got similar "resolutions." Worry less, Use my time properly and loose 20kg. I am calling it life style change cos some how i forget about my resolution by the end of the 1st week of the year...lol. I likey! Life style change sounds way better! Yes oh! Long time no post. Hopefully I've repented. Happy New Year hun ! you nor watch the video ni? Happy New Year! Amen oh! God will give me the strength!!! Awwwww, thanks for always reading! i'm soooooo sorry. You know how life can be na. You can see i've started updating...lol i've repented! Thanks for slways reading! blessings and happy new year to you too. May this year bring the actualization of dreams, health, strength, love and peace. Amen! Happy New Year to you!!! 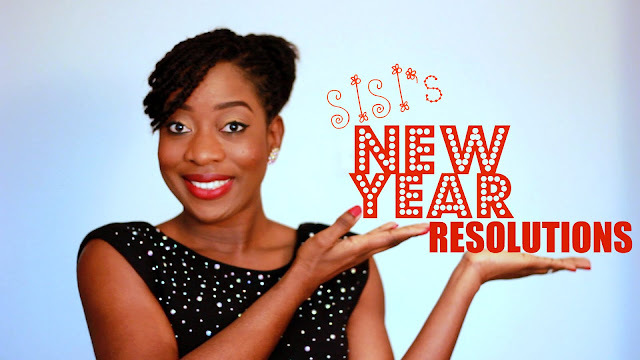 Welcome back SiSi yemmie...Happy New year! Thank you!!!! Happy New Year!!! I Miss Me -Tosyn Bucknor! 5 WAYS TO STYLE YOUR BRAIDS/LOC/TWISTS!